Ajay Kumar Singh > Drupal > warning: Parameter 1 to comment_nodeapi() expected to be a reference, value given in /includes/module.inc on line 462. 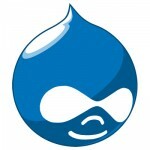 I upgraded PHP to 5.3 version on dedicated server and received following error in Drupal. This error shows up when you search on the Drupal site. This is very typical error with PHP 5.3 and happens with most of the php scripts and not only Drupal. The solution for above problem is to remove & from the function comment_nodeapi(&$node, $op, $arg = 0) in comment.module file which is in /modules/comment folder.